The Grand Prizes for Saturday and Sunday were two night stays at the luxurious Fairmont Orchid on the Big Island. 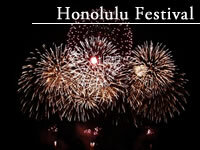 All day long the people attending the Honolulu Festival filled in their drawing forms hoping to win the Grand Prize. Dara and her husband were just about to go on a vacation to rest after his treatment. What an amazing story! Please have a great time on the Big Island! Manolo will feature Dai Hirai. He will play the song he composed for the Honolulu Festival on his ukulele, “One Love -Pacific Harmony.” We will also have the Alaska Native Heritage Center Dancers and the Dallas Baptist University Choir. Interview! Dai Hirai, Super Ukulele Player! We had a interview session with Dai Hirai this morning, who wrote and sang the “One Love -Pacific Harmony-” which is the official song for the Honolulu Festival. He just arrived in Honolulu from Japan. He will be playing the official song during this year’s Honolulu Festival. Collaboration with Super Ukulele Player ! 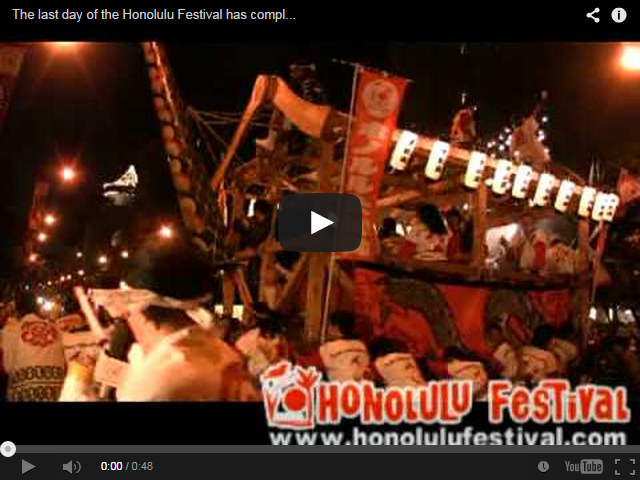 Hirai Dai who is a super cool ukulele player has created a song for the Honolulu Festival! Just check it out! 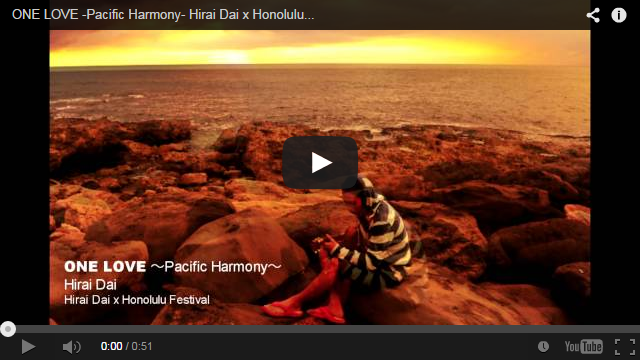 ONE LOVE – Pacific Harmony – * Click to see larger screen views.